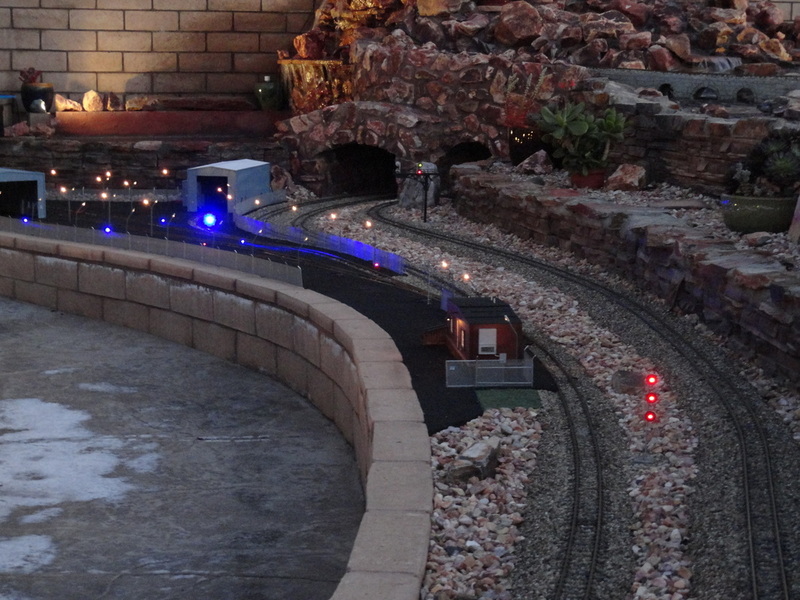 I rarely see G scale modelers placing signals on their garden railroads, and for several good reasons. First, there are not many products on the market today, however I have seen more manufacturer's offering different types of signals recently. Second, they will become obstacles when walking about your railroad! That being said, I believe that signals can add a great bit of interest to your railroad. The following pages show how I scratch built three different kinds of signals now used on the MANNM Railroad. 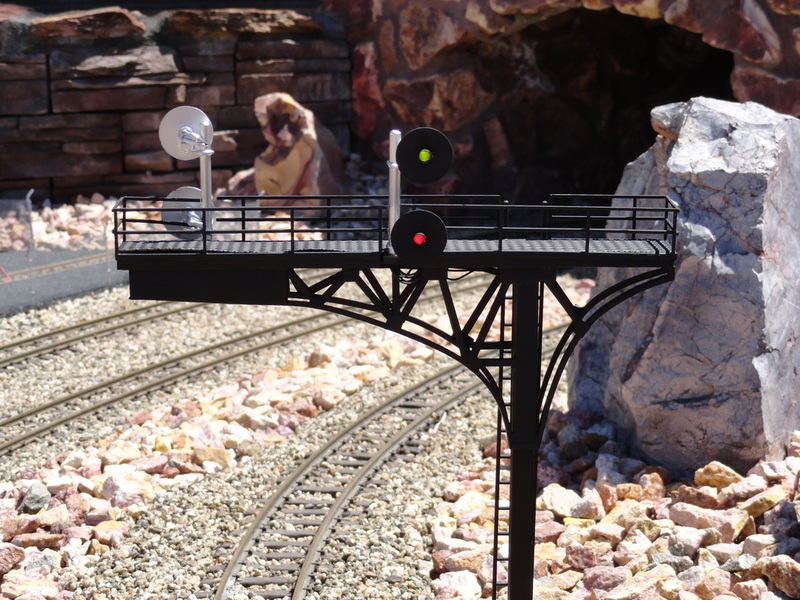 Clear signal displayed on this scratch-built, Santa Fe prototype cantilevered signal bridge.